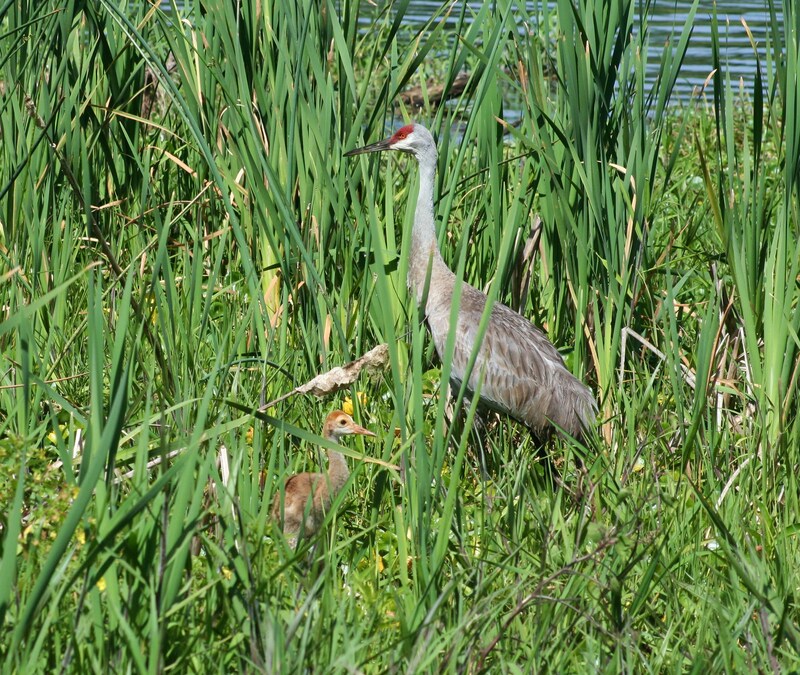 A Florida Sandhill Crane and chick, along the St. John’s River. Florida Sandhill Cranes nest near or in grassy wetlands. Sandhill Cranes, who mate for life, build the nest together. During nesting season, the Sandhill Crane becomes more aggressive and territorial than during non-nesting times of the year. The nest can be as large as three feet in diameter. Once the nest is completed, two eggs are laid within 48 hours. Eggs hatch 30 days later. Amazingly, within 24 hours of hatching, the chick is able to leave the nest. Sometimes alone, sometimes with one or both parents. The chicks grow quickly, and within ten weeks, are ready to take flight. 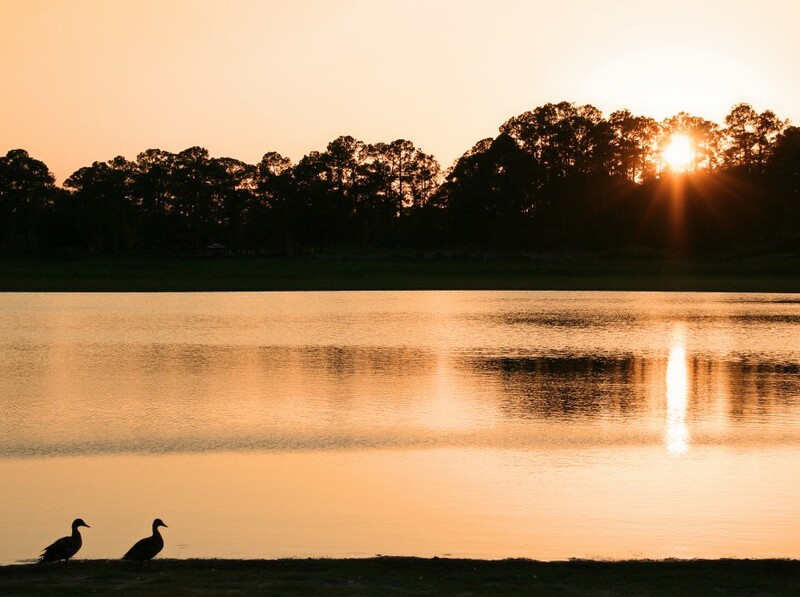 Feeding or harming Florida Sandhill Cranes is illegal.